Hey guys, Jay here. Nobody likes dark droopy eyes. I mean some people might, but I sure don't. I love to brighten up my eyes to look more awake and alive! So today I'm going to tell you a few tips on how to do it with 2 eye shadows. Like I said, I'm going to tell you guys how to brighten up your eyes with 2 eye shadows. 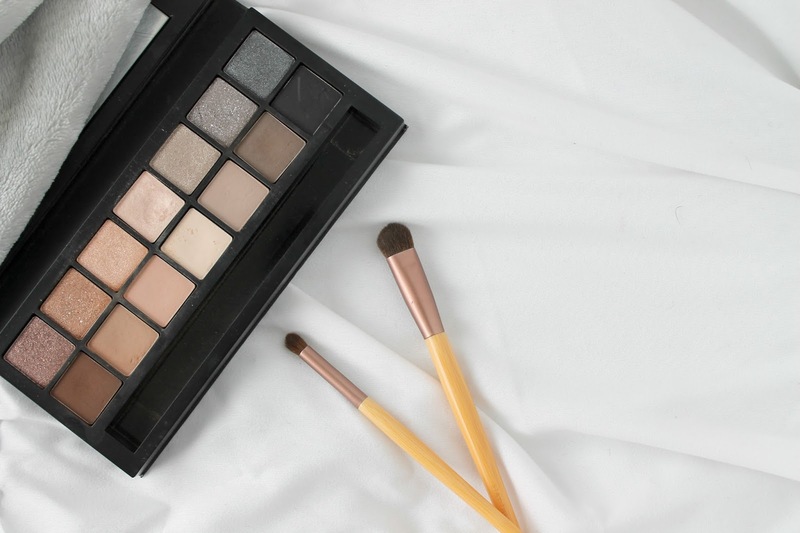 All you need is a matte cream shadow and a champagne or shimmer color! First apply the matte cream shadow all over your lid, mainly focusing on the brow bone. I find this really lightens up the eyelids and the highlight of the brow bone makes your brows pop as well! If you have a darker skin tone, try just using a skin tone shade that is a few shades lighter than your skin tone. For the champagne or shimmer shade, take a small dense brush and apply the shadow in your inner corner to brighten the eyes! This is my favorite trick! I find the shimmer helps reflect and draw attention to the eyes! I love it. What do you do to brighten up your eyes?